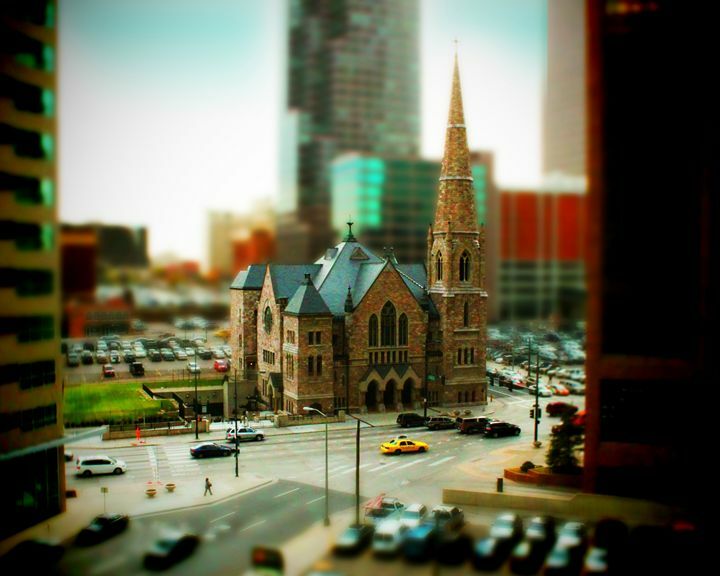 Trinity United Methodist Church (Trinity Methodist Episcopal Church) is a historic church at E. 18th Ave. and Broadway in Denver, Colorado. 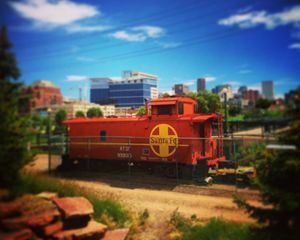 It was built in 1887 and was added to the National Register in 1970. Built by architects Robert S. Roeschlaub and Frederick Albert Hale. 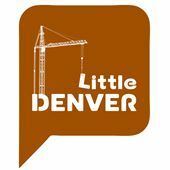 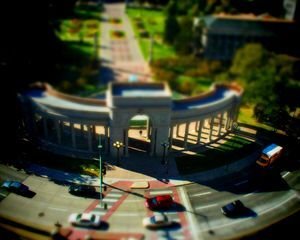 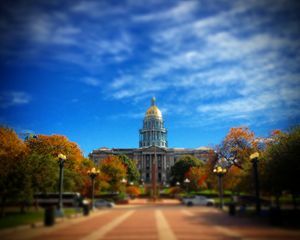 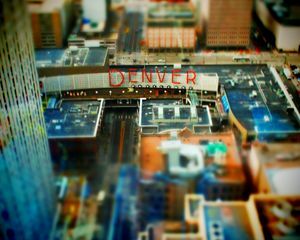 LITTLE DENVER aims to bring tilt-shift photography from the fringe of interest and into the mainstream to all Denver art fans. 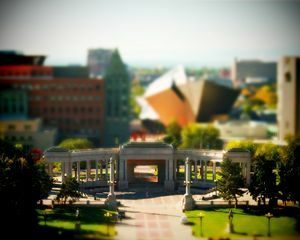 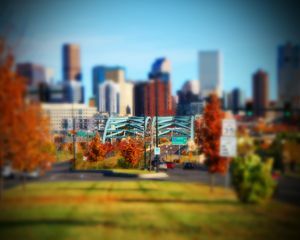 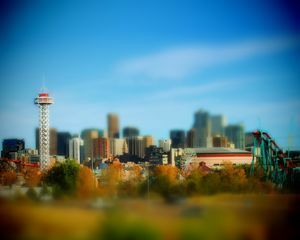 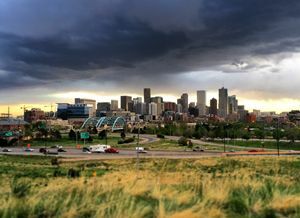 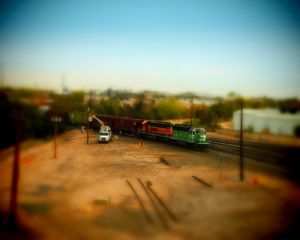 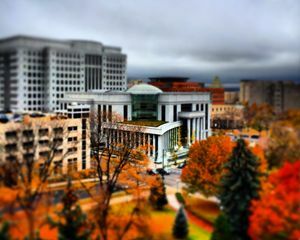 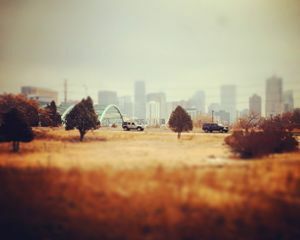 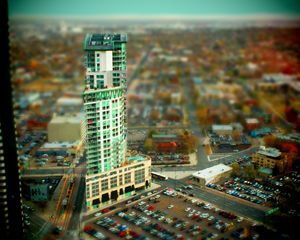 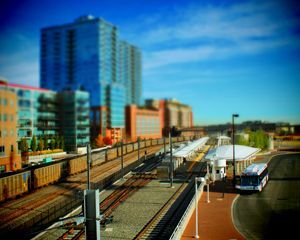 Photographed by Gio Toninelo, LITTLE DENVER features the unique style of imagery which only tilt-shift photography produces – that of a diorama-like scene.